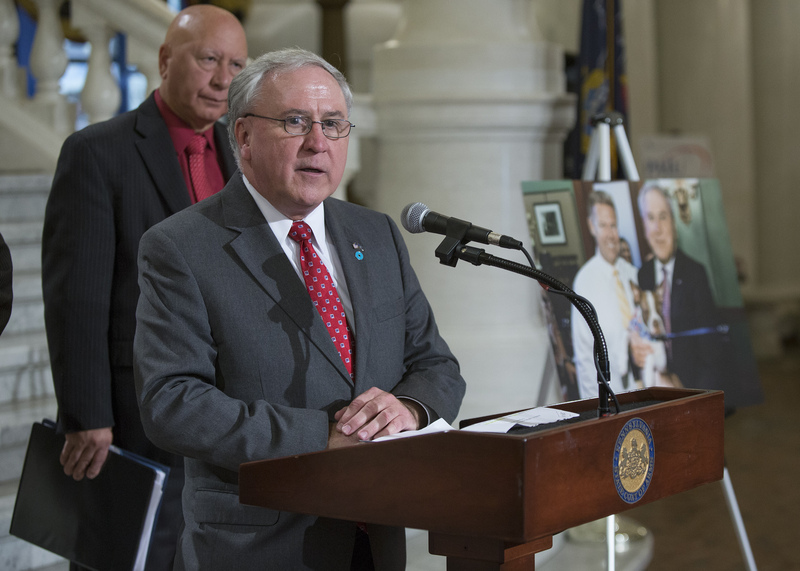 At a news conference today at the State Capitol in Harrisburg, Senator John Rafferty (R-44) and Senator Rich Alloway (R-33) outlined plans to continue legislative efforts to combat animal cruelty in Pennsylvania. The Senators called for the introduction of a resolution directing the Joint State Government Commission to establish an Animal Abuse Prevention Task Force. The task force would include professional experts and organizations charged with the responsibility of analyzing current laws throughout the nation that seek to reduce instances of animal cruelty and abuse and report its findings and recommendations to the Senate. Alloway and Rafferty said that task force would build on current efforts to address incidents animal cruelty, including Senate Bill 1372.